Participants in the annual Questionmark Users Conference bring a lot of enthusiasm about using innovative question types in their assessments. A number of our customers have exte nsive experience with this and like to share their expertise at the conference. I spoke the other day with Doug Peterson from Verizon Communications and asked him about the case study he will share at the conference about using Flash and Captivate questions within Questionmark Perception. Q: What’s your role at Verizon Communications? A: I have two roles: I develop, maintain and deliver training — mainly now on internet technologies — and I’m responsible for a series of online automated tests for our help center training program. This is a pass/fail curriculum and very high stakes because these tests can affect people’s job status. So we need to be absolutely sure that the tests are well written and well maintained. These used to be written tests that were graded by an instructor. We turned to Questionmark for an objective, unbiased, online, airtight testing system and I oversee that. Q: How are you using Questionmark Perception? 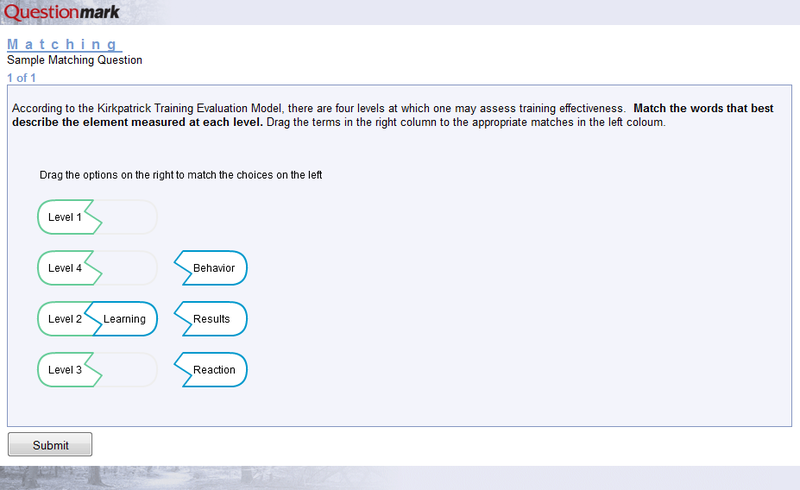 A: We have a couple of tests for each of the three modules in the training curriculum. We use Questionmark for end-of-lesson reviews as well as the higher stakes tests that determine whether a person has passed or failed a module. We use scenarios that trainees might encounter in working with a customer. There might be 6 to 8 scenarios in each test and 10 or 12 questions about each scenario. The trainees take these tests right in the classroom, on their classroom computers. We create individual QM accounts for each student and schedule the tests directly for those accounts. We schedule them for a specific day and time window. No one can see the tests except for the students, and they can only access them during the testing window. We had subject matter experts tell us what we needed to cover in the scenarios and what questions we needed to ask about them. They explained what would be a reasonable way to present a question or simulation to test a particular skill. Once we’d created all the scenarios and written all the questions we did an in-depth validation. A: Our call center agents have to use several applications when they get a call from a customer. They’ll have to look up a trouble ticket, get information about the customer and so forth. We need to make sure they knew how to use those applications, so we have created Perception questions using Captivate and Flash files with ActionScript that present the application to the student. Then the student needs to work through the application to demonstrate their proficiency with it. We’ve worked out a way to create a highly interactive, very realistic simulation in Flash that captures each student’s actions in using a particular application. It really tracks step by step. Being able to take the individual things from the Flash scenarios makes it so that when we run reports after the test we can easily see if a lot of people are is missing something like clicking on a particular button. Then the instructor can go back and make sure the students understand what they are supposed to. We went through a complex process to figure all this out, but it’s given us the ability to create a highly interactive, very realistic simulation in Flash with action script ActionScript coding and all kinds of logic and still pass back individual point values for different tasks. I’m very proud of the tests we have created and the work we have done. We have some fabulous questions in there that allows the students to show that they really understand applications and know how to do something from start to finish. We learned many tips and tricks along the way and I will be sharing those with the people at my session. Q: What are you looking forward to at this year’s conference? 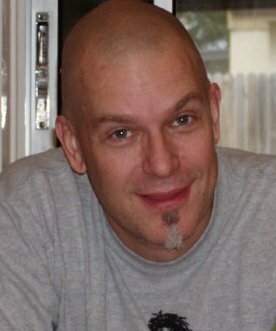 A: I really enjoyed the sessions on item analysis and test validity at the 2009 conference, and I am looking forward to learning even more about those subjects this year. And anything about new functionality in Perception Version 5 will be on my list too. You can attend Doug’s presentations and many others at the conference in Miami March 14 – 17. Early-bird registration ends January 22nd, so sign up soon!